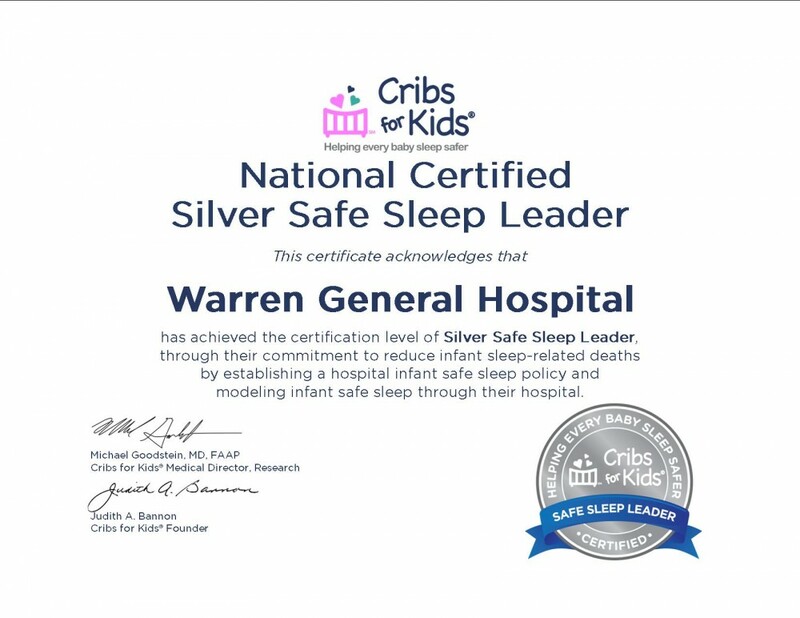 Warren General Hospital was recently recognized by the National Safe Sleep Hospital Certification Program as a “Silver Safe Sleep Leader,” for their commitment to best practices and education on infant safe sleep. They are one of the first hospitals in Pennsylvania to receive the title. The National Safe Sleep Hospital Certification Program was created by Cribs for Kids®, a Pittsburgh-based organization dedicated to preventing infant, sleep-related deaths due to accidental suffocation. In addition to being Cribs for Kids® partners, Warren General Hospital was recognized for following the safe sleep guidelines recommended by the American Academy of Pediatrics (AAP), and providing training programs for parents and staff. 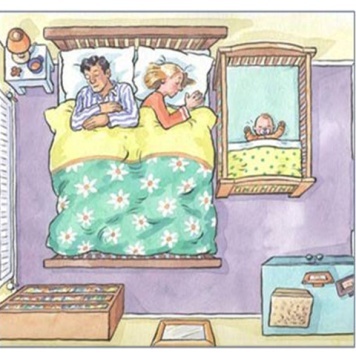 “Sleep-Related Death (SRD) results in the loss of more than 3,500 infants every year in the U.S.,” said Michael H. Goodstein, M.D., neonatologist and medical director of research at Cribs for Kids®. “We know that consistent education can have a profound effect on infant mortality, and this program is designed to encourage safe sleep education and to recognize those hospitals that are taking an active role in reducing these preventable deaths.” This program is well-aligned with the Maternal Child Health Bureau's vision of reducing infant mortality through the promotion of infant sleep safety as outlined in Infant Mortality CoIIN Initiative. Thirty-six states have designated SIDS/SUID/SRD as their emphasis to reduce infant mortality.